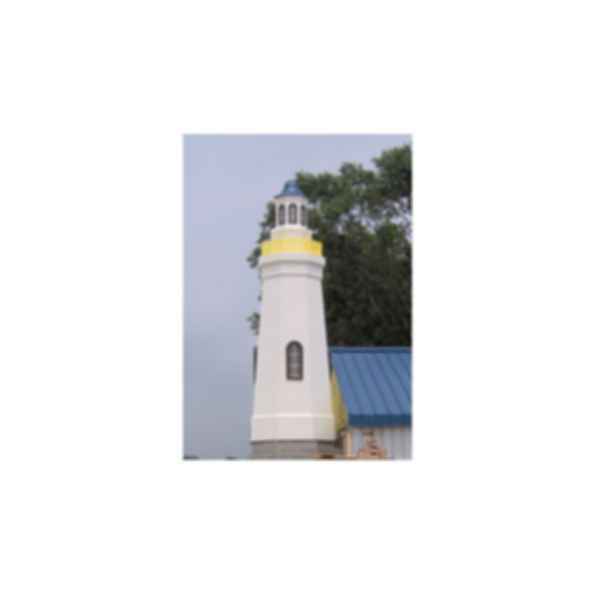 Fiberglass Specialties, Inc. newest addition to the product line is The Lighthouse. The Lighthouse can be used in many commercial, institutional, religious, and marine applications. The Lighthouse can be ground mounted, set on a pier support, or even set on the roof of a building. The Lighthouse can be modified in many ways for many different appearances and upgraded with an interior lighting package. It comes in FSI's standard white gel coat, but FSI can match any Sherwin Williams color.